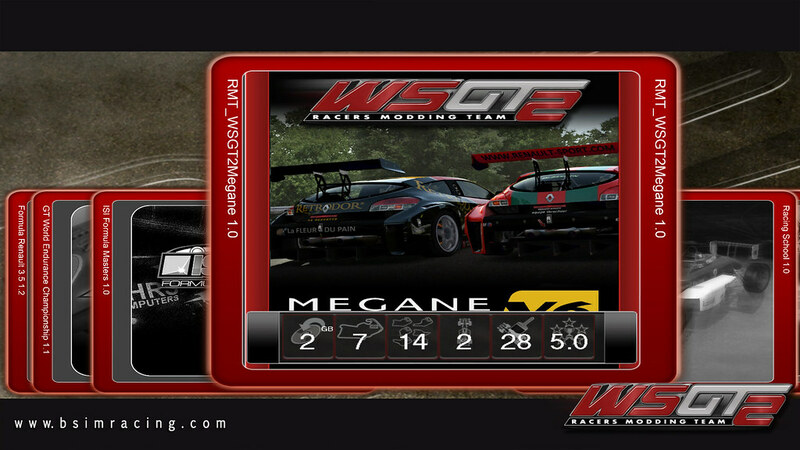 Home » WSGT2 Megane Trophy V6 by RMT. 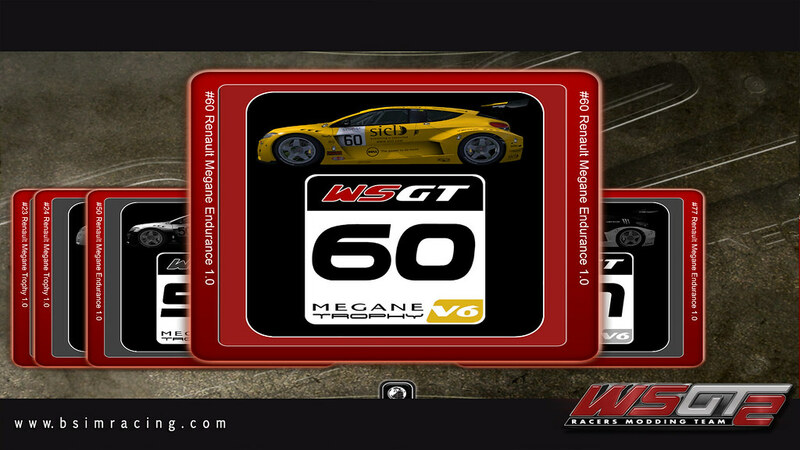 WSGT2 Megane Trophy V6 by RMT. Back in 2009 we decided to create a follow up mod for the WSGT. With the obvious name ” WSGT2″. we also decided to change platforms. 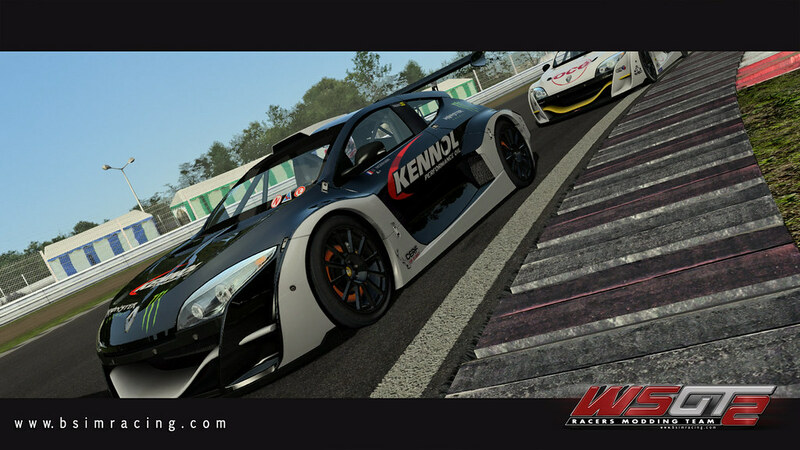 The WSGT mod was originally created for the Simbin GTR2 platform, and the WSGT2 mod would be targeted at the ISI rFactor simulator. We started work and passion and dedication levels where high. 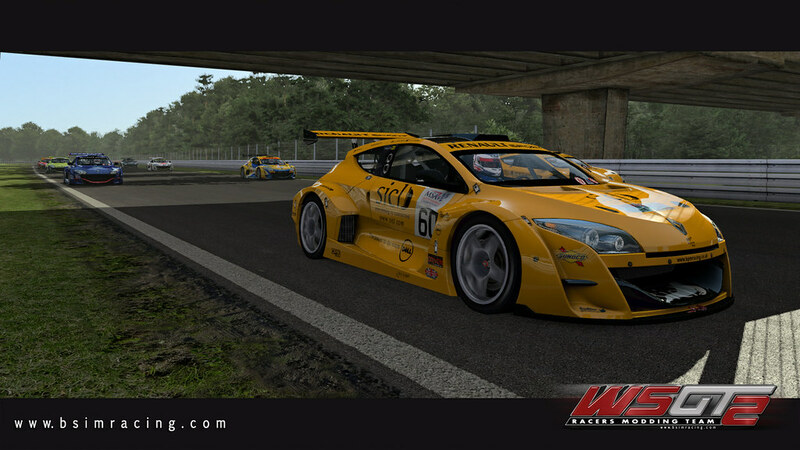 By the end of 2010 we had 22 models build, and 17 of them in game in the rFactor 1 engine. 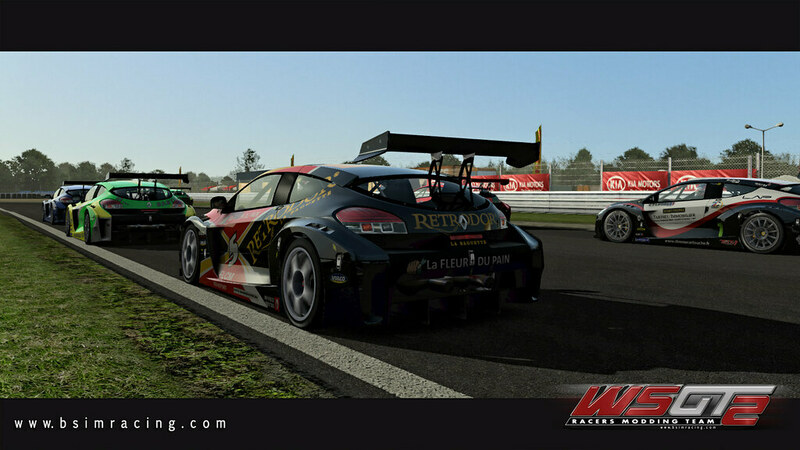 Image Space Incorporated had announced rFactor 2 during 2009 and we where discussing wether we should port the mod to this new instalment. Eventually, we decided to stop work in rF1 and planned to continue when the rF2 beta would be released. 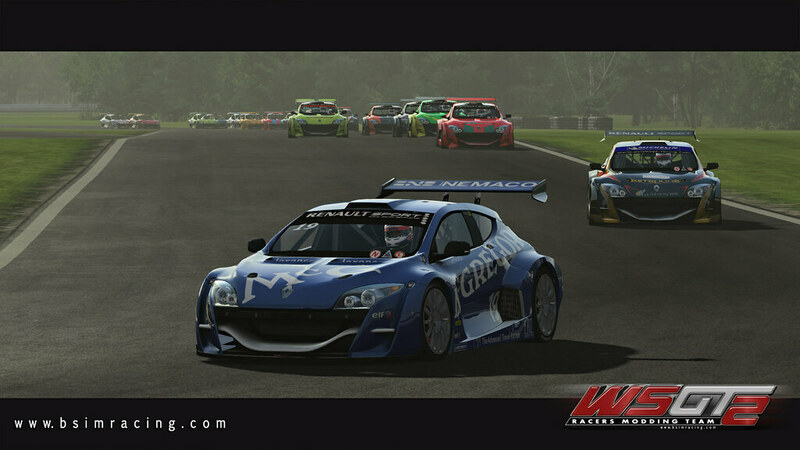 The Renault Eurocup Mégane Trophy is a one-make racing series created and managed by Renault Sport. The series has raced with the Renault Mégane Renault Sport since 2005 as part of the World Series by Renault. The Renault Eurocup has run with various models under differing names since 1976. 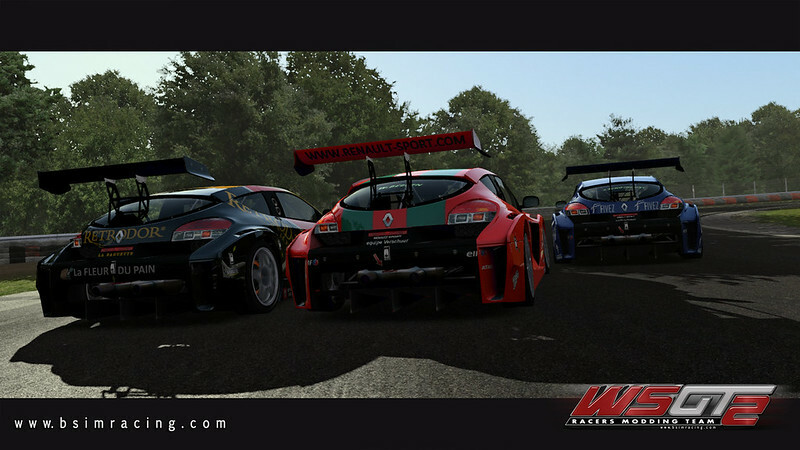 The Component package features a full car set for the 2009 Eurocup Mégane Trophy season and a selection of Endurance-spec Megane Trophy cars that are raced around the globe. The endurance spec Megane is lighter and more powerful than the Eurocup version of the car and also features a bigger 100 ltr. fuel tank. 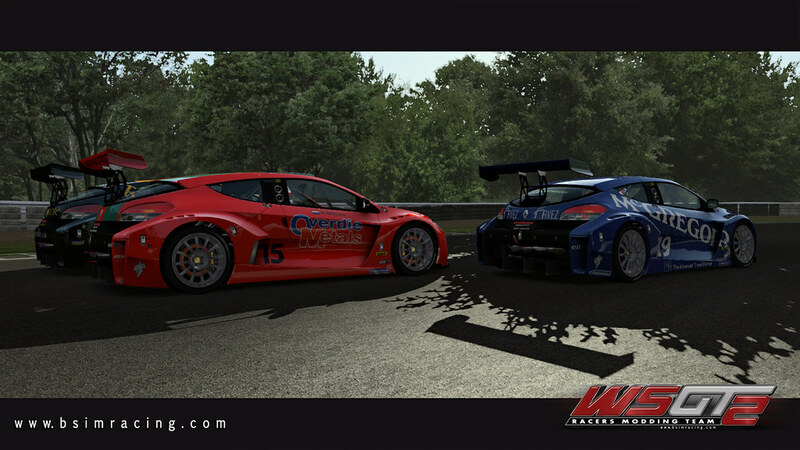 (OPTIONAL) Vmod – This ready to use Vmod combines the RMT_Megane_Trophy Component with some of the ISI tracks. 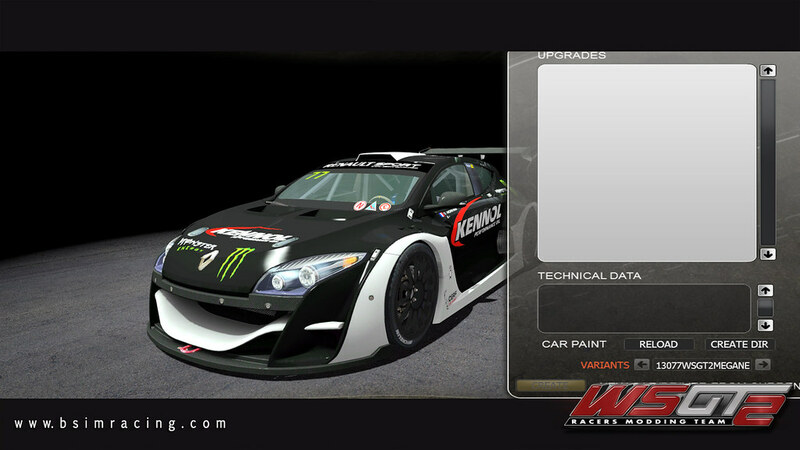 Because the rF2 platform is still a work in progress, lots of small issues might pop up in future use. We will try to supply an update when there is sufficient progress made by ISI. On certain tracks there might be alpha bleeding on the window in cockpit view. We are looking in to this, but have not yet found the source of the problem. We also noticed that on certain triple screen setups that shadows might clip and generate a flashing black screen. We are not sure if we can fix this problem at this stage of development. 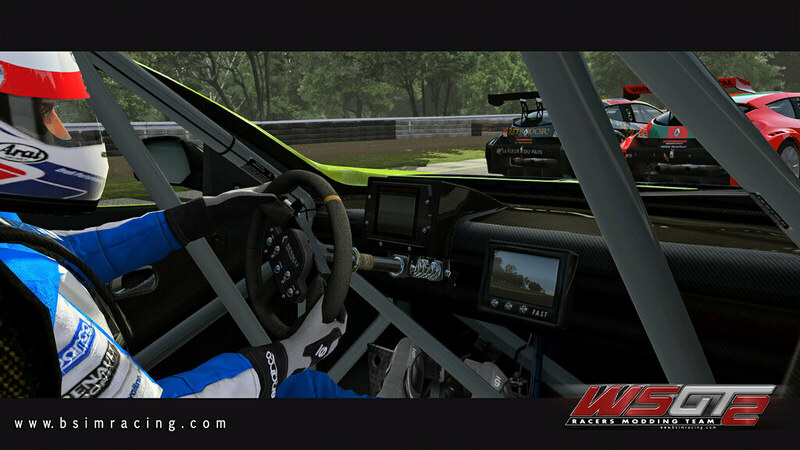 Driver View placement regarding the FOV needs to be tweaked.